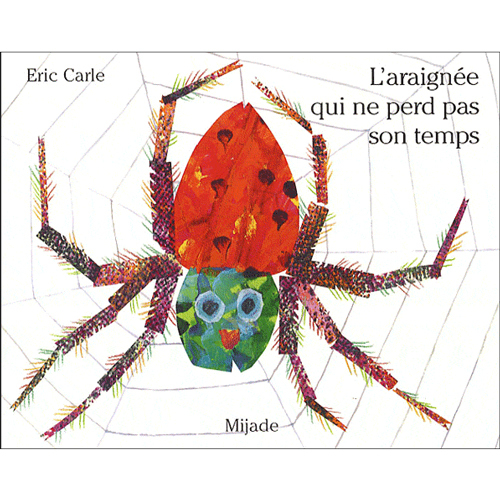 A colourful picture book that describes a spider's day. Blown onto a farmyard fence, she starts to spin a web. The other animals ask if she wants to play, but the spider very busy spinning her web and didn't have time to answer. 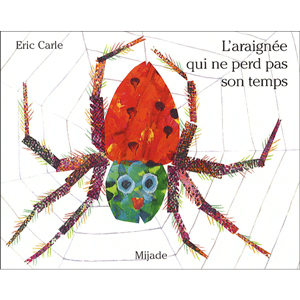 L'araignée qui ne perd pas son temps is written entirely in French as it is aimed at native French speakers, although the language is fairly simple as it is aimed at very young children.